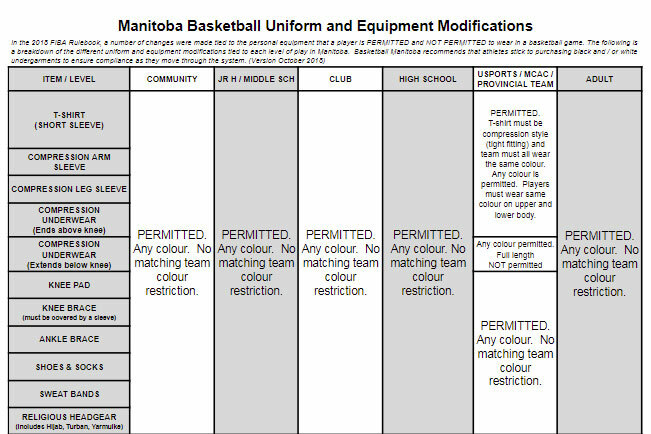 UPDATED FOR 2018-19 SEASON: Basketball Manitoba has announced changes to what equipment will be permitted to be worn by athletes on the court effective immediately (October 2018). In the 2018 FIBA Rulebook, a number of changes were made tied to the personal equipment that a player is permitted and not permitted to wear in a basketball game. Based on feedback from a variety of levels and leagues, there has been an even more relaxing of the changes as detailed in the current FIBA Rulebook to what will be followed in Manitoba. 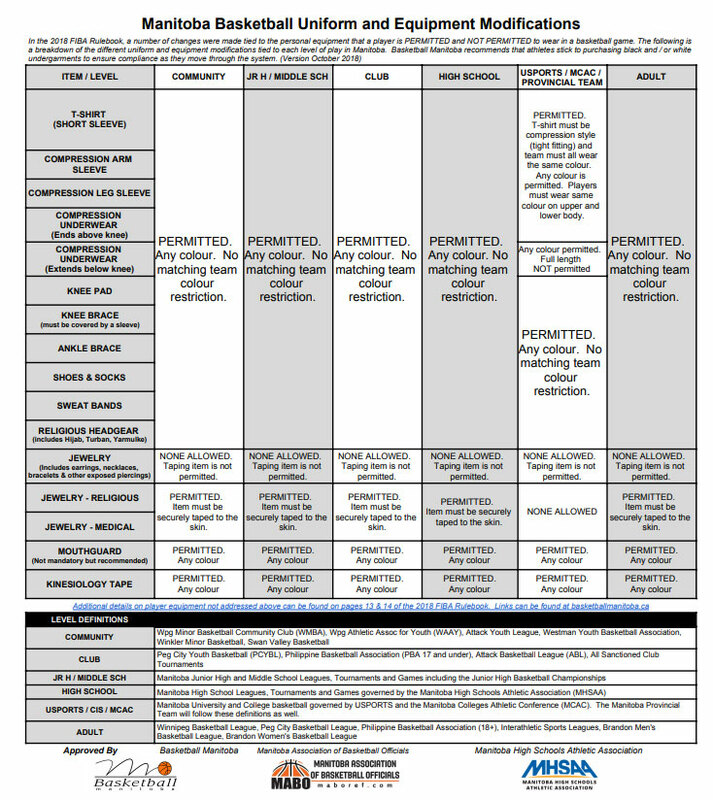 Key changes made this year effect high school, club and post-secondary basketball levels of play. The following chart is a breakdown of the different uniform and equipment modifications tied to each level of play in Manitoba and has been approved by Basketball Manitoba, the Manitoba Association of Basketball Officials and the Manitoba High Schools Athletic Association to take effect immediately. USPORTS / CIS / MCAC. Manitoba University and College basketball governed by USPORTS and the Manitoba Colleges Athletic Conference (MCAC). The Manitoba Provincial Team will follow these definitions as well.